So easy you could do it with your eyes closed! – Nice dress! Thanks, I made it!! So easy you could do it with your eyes closed! I have to take a slight detour in my blouse sewing schedule. 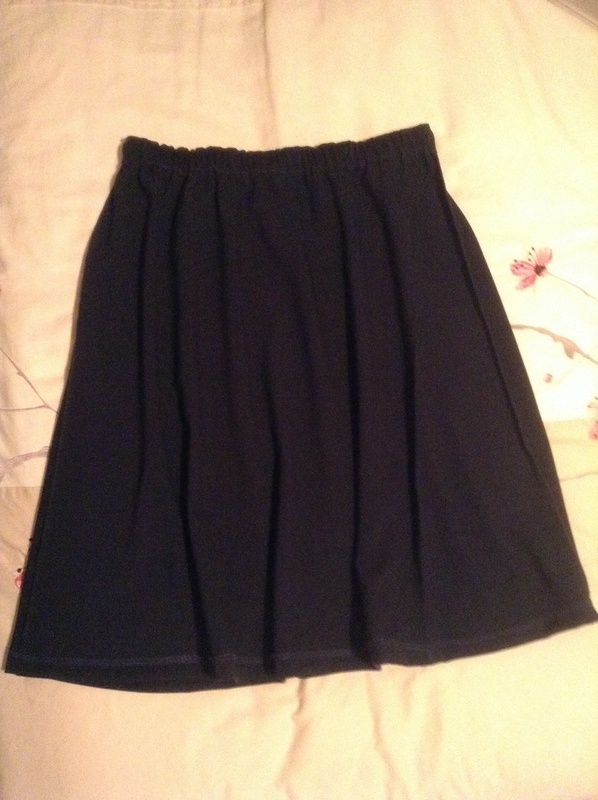 I have noticed some “staples” missing in my work wardrobe – a dark brown skirt and a navy blue skirt. 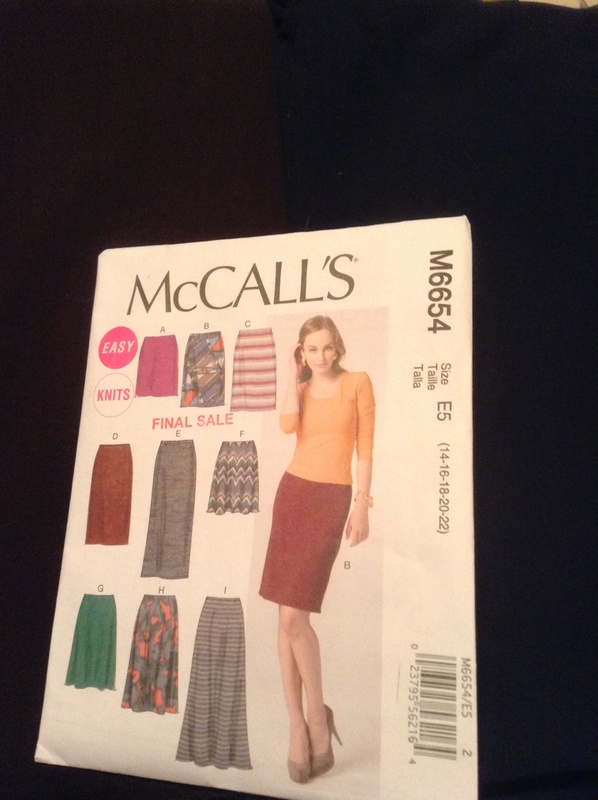 So I grabbed up the easiest quickest pattern I have, McCall’s M6654, and two polyester knits from my stash. Both fabrics are so dark here they are hard to see! This pattern is specifically made for knits. It has only three easy pieces, front, back and waistband. Being who I am I trace out the front and back only – ya, I don’t need the waistband! 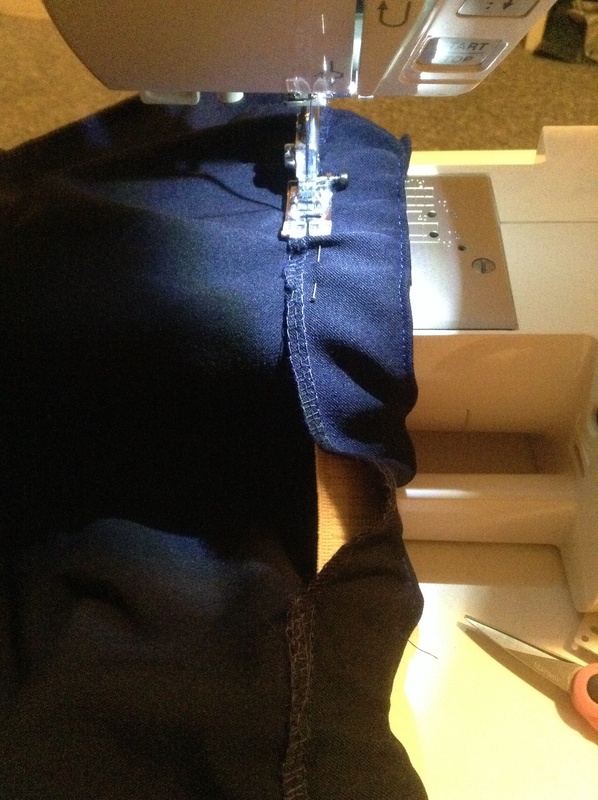 I serged together the side seams, serged the top edge and the bottom edge to neaten them up, then sewed up 1/2″ on the bottom edge with my twin needle on my sewing machine. 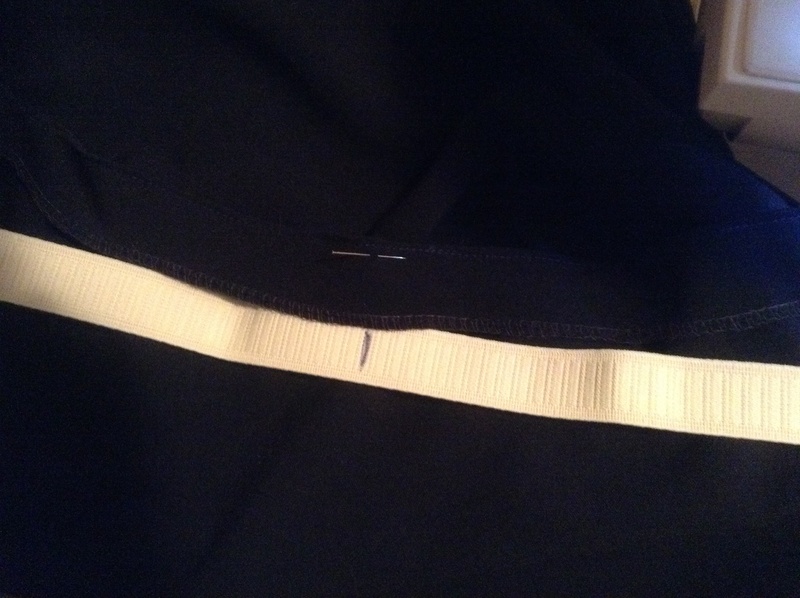 For the elastic top casing, first I measured my elastic snug on my waist and sewed it together into a loop. Then I marked the centre, back and sides of my elastic. 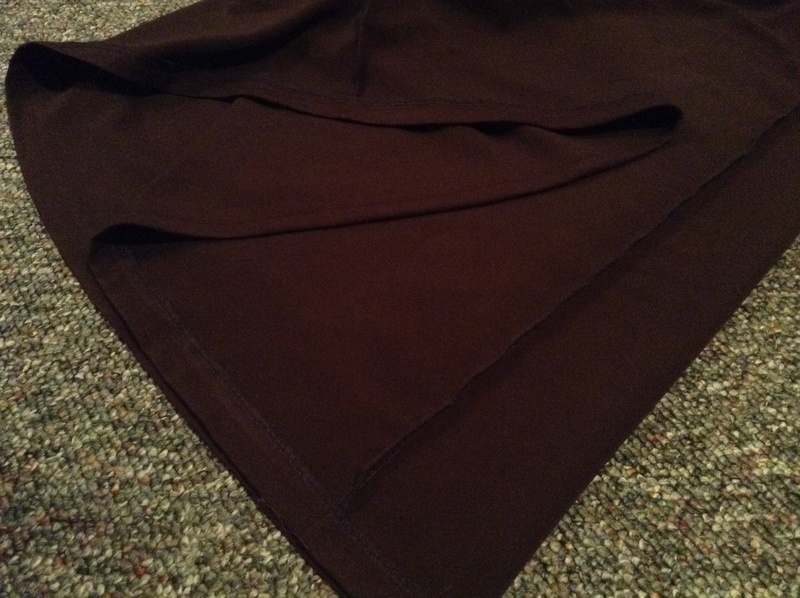 On my skirt top edge I folded down the width of my elastic plus a 1/4″ and sewed close to the folded edge to start forming the casing. Then I slipped my elastic in, pinning it in at the centre, back and sides. 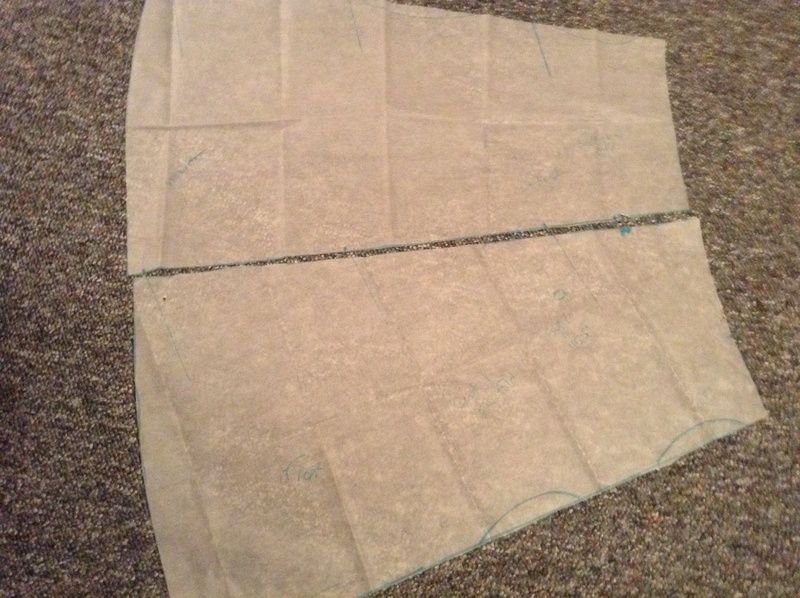 Then I sewed the bottom of my casing, keeping my elastic free inside, away from my sewing needle. 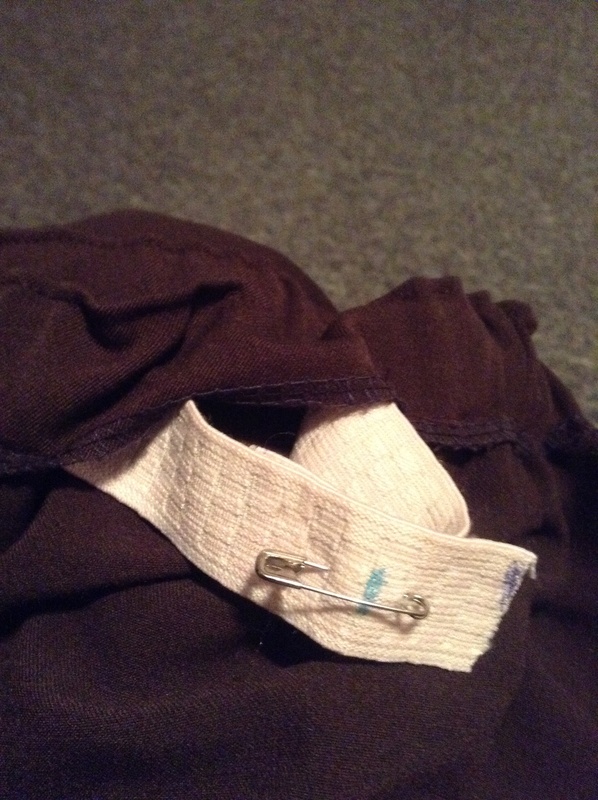 I always leave an “escape hatch” in my casing to adjust my elastic! Of course, as usual the elastic is a little too loose. So I pull it out, cut off 2″, sew the elastic back together again, and tuck it back into the casing, then sew the casing shut. It seems I always start with too much elastic, better than not enough, I guess! 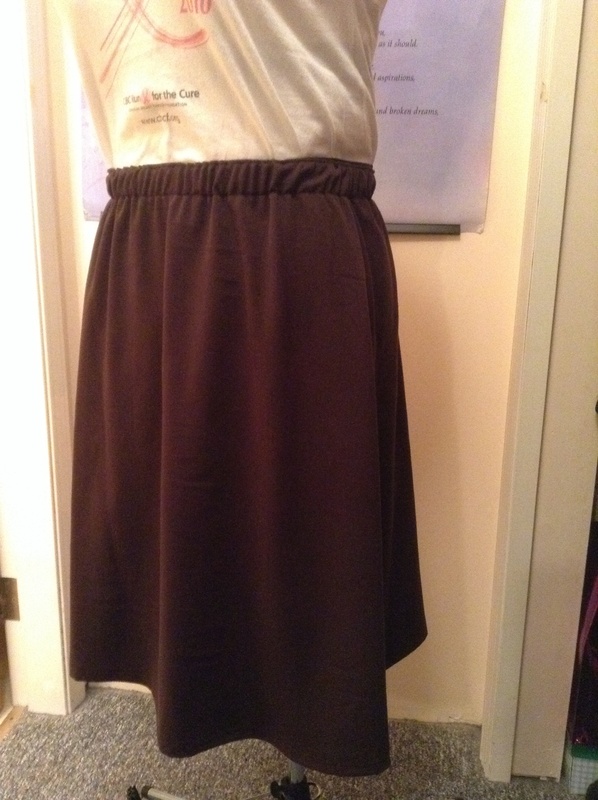 Finished skirt… TA DA!! So easy, just like that! Until next time… Happy Sewing! The skirts look very nice. One looks almost burgundy? Love that colour. I definitely need to think about adding a skirt or two to the wardrobe.